Before I saw this movie, someone said to me “Oh, it looks like a jazz version of “FAME”. A more mis-informed statement could not be ever spoken! A “Fame” remake this movie is not..If you love music, most especially jazz and have heard all those stories about the inner circle of the jazz greats..this is your movie.. With my basic knowledge of music and somewhat better at knowing those stories, I was able to follow along well. 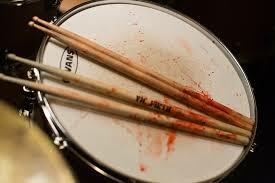 But “Whiplash” is a quite darkly, somewhat disturbing movie about 19 y/o “Andrew” played superbly here by Miles Teller, who eats, lives and breathes being a drummer, who wants so badly to be ‘remembered’ in this life as one of the world’s best he will do and put up with almost anything..again, almost.. His journey through what was at times, hard for me to watch as I’ve experienced people in my life like this, is what this movie is about..to be specific about a year of said journey at New York’s elite Conservatorium of Music, Shaffer Academy. And that is about the only thing that would hold a similarity to something like ‘Fame’ is both being held at a music academy schools. This film begs the question of how far an artist should be pushed to achieve greatness. It’s a devastating portrait filled literally with blood, sweat and tears, leaving our hearts pounding as fast as the intense drumming. The music is quite extraordinary too. “Terence Fletcher” (J.K. Simmons) is the conservatorium’s god maker; we immediately sense how vital it is to Andrew that Fletcher notices him. What follows was for me the hard part of watching as It is the cruel, callous way Fletcher operates that gets under our skin as he offers some of the students words of encouragement, elicits some personal information only before using it against them with biting undercut. Simply said, he is a monster disguised as a teacher. Bullying and abuse come in many forms not just student to student, but teacher to student happens far more often than we realize and this is in large, what this movie is about. The humiliation, bullying, and violence towards all the students in his class are all part of the mix with chairs being hurled, faces slapped and students stripped down to size. Watching blood drip onto the drum kit from Andrew’s overtaxed fingers and hands, while close to exhaustion, is unsettling to say the least. 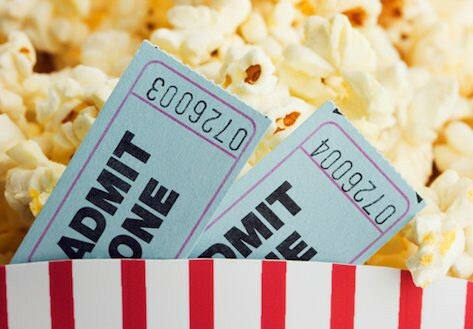 Just as it seems as though Andrew’s fortunes are looking up, when he is singled out by Fletcher and simultaneously gets a date with the pretty student he’s had a crush on for sometime “Nicole” (Melissa Benoist) who sells popcorn at the movie theatre he frequents, though neither opportunity turns out as expected. In the background is Andrew’s father “Jim” (Paul Reiser), a disillusioned, failed writer who quietly supports his son but clearly doesn’t understand musical aspirations or what drives him. 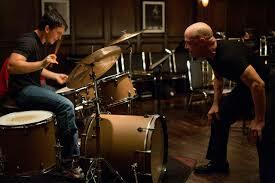 Teller drums with the passion of a man literally possessed, the physicality of the performance is truly astounding. As for Simmons, his performance is breathtaking as we are captivated by every tiny expression on his distinctive features. The way he turns from violent abuser to a gentle man is truly quite impressive. Having been a fan of his since his turn in HBO’s ‘Oz’ ~ this is a role of a lifetime. It occurred to me during one devastatingly harder scenes to watch that this movie can truly be as tense as any psychological thriller, complete with it’s own type of terrifying moments. But it also has the operatic highs that only music can bring. For instance that show-stopping sequence at the end of the film when the music wins, is the moment when our hearts can soar and think maybe..just maybe it was all worth it in the end as we applaud. The performances by Teller and Simmons are the soul of this film and what truly make this movie what it is. I hope that they garner the attention they deserve come nomination time. After seeing this film a second time last night at an Oscar screening with Dir: Damien Chazelle & J.K.Simmons doing a fun, lively Q & A afterwards.. I gotta up the grade to an A ~ as this film and most definitely it’s performances are Oscar worthy. 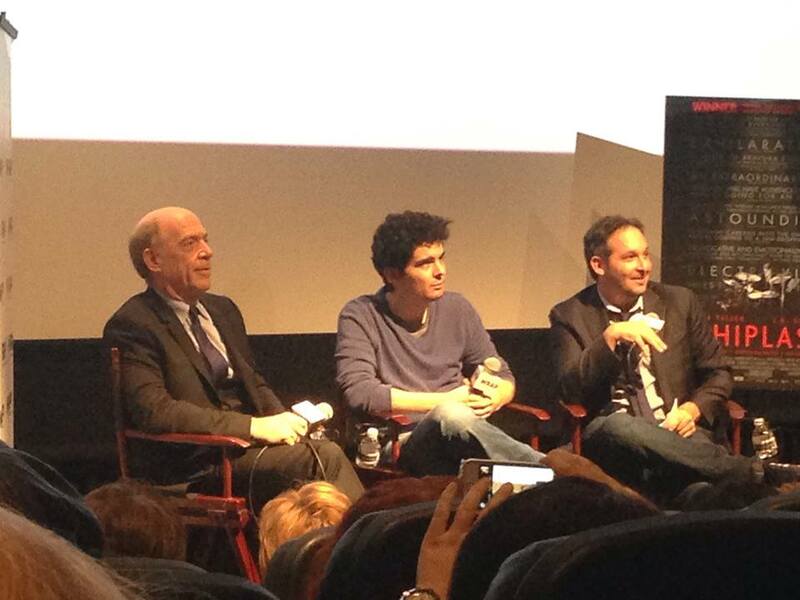 J.K. Simmons and Miles Teller…man, what performances they gave. This was just so incredibly tense throughout, and it all culminated in those final 15 minutes. Very unpredictable movie, too, which I like. Great review! Thanks! Crazy good performances.. We’ve talked about how much we both like J,K. Simmons, but this was really something else. Truly. I found your review to be all encompassing and very well written. I learned everything I needed to, in order to determine if I want to see what sounds like a very tense, solidly acted, and interesting film. Thank you for sharing your thoughts on the movie, I am definitely interested in seeing it based on your review. Thanks so much.. I think you will enjoy it immensely!! Because after seeing this film again last night and having the Q & A afterwards with brilliant, wonderful J.K. Simmons & Dir: Damien Chazelle, I realize that my B+ grade should REALLY be bumped to an A because this movie is THAT good. And the performances.. well there are no words really for how good they are. So with that..